. Her 8th birthday was approaching so we decided to do a party based on the book. 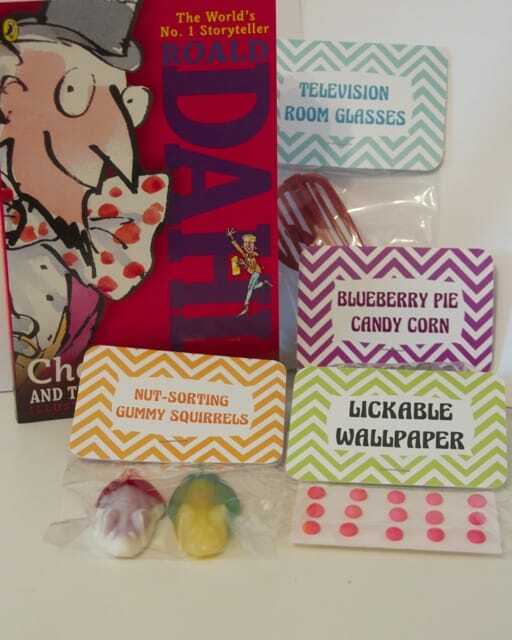 For the party favours we included a copy of the book, and treats inspired by the book. I created labels with Make the Cut, sent them to be printed at Staples, and cut them out with my Klic N Kut Zing. We also added labels to dollar store bubbles to create Fizzy Lifting Bubbles from the Willie Wonka movie. All the goodies were put into a bag with each child’s name and were ready to hand out.